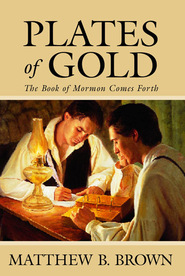 In the spring of 1820 Joseph Smith Jr. emerged from a grove of trees with a message that would change the world and convert millions to the restored gospel of Jesus Christ. This mere boy not only claimed that he had seen the God of heaven and the Savior of mankind, but he also said that they had told him the Christian faith was in dire need of renewal. In this rich in-depth study, author Matthew B. Brown helps the reader realize the First Vision more fully — with added detail, clarity, and understanding. He places events in historical context, answers criticisms, and compares and contrasts the various recitals of the First Vision, showing the remarkable harmony that exists between the accounts as well as the minor differences in the retellings. Gain deeper insight about one of the most important events in history in this fascinating well-researched volume by acclaimed LDS historian Matthew B. Brown. 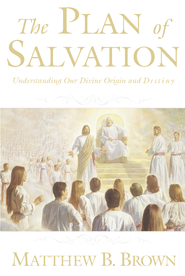 The most comprehensive book available that compares the various versions of the First Vision. Do you really understand the First Vision? 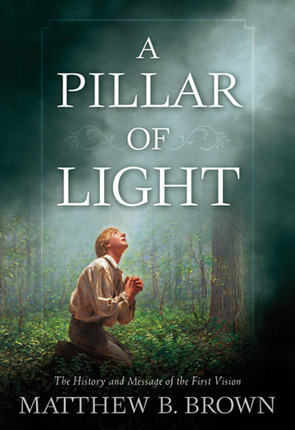 Matthew Brown has once again done his homework and provided the readers of “A PILLAR OF LIGHT,” with new and illuminating facts about the restored gospel. Whether you have heard the First Vision story from your youth or are new to the experience and wonder why there are at least eight different accounts of the vision, there is a wealth of information available to one and all in a careful reading of this volume. This is a wonderful book for your library and given the critically important message ‘that God has spoken in our day’, it is a book, which deserves frequent re-reading.